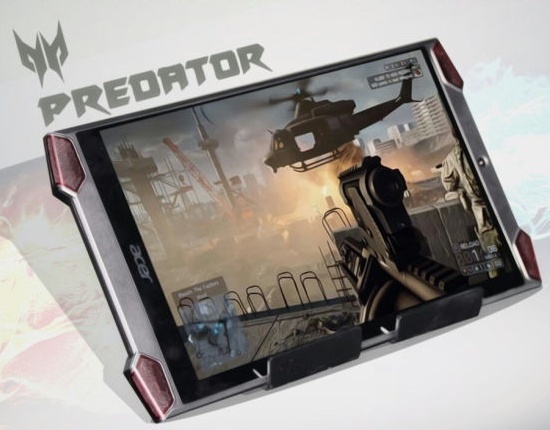 This 8-inch tablet for gamers previewed by Acer earlier this year has allegedly entered mass production and is expected to hit the market in Q4. Acer unveiled the 8-inch Predator gaming tablet during Computex 2015 and also revealed its plans to launch it by the end of 2015. While the latest piece of news is not official, it looks like the Acer Predator is on the right path and will hit the market just in time for the holiday shopping season. According to Taiwan-based supply chain makers who spoke to DigiTimes, Acer's first tablet for gamers has reached mass production. This slate uses a last-gen Intel processor, the Atom x7-Z7800. This is a 64-bit processor with 2 MB of cache and four cores, with a base frequency of 1.6 GHz and 2.4 GHz boost. Additional features of the Acer Predator include a quad-speaker setup, dual force feedback, as well as the ability to create multiple video and audio user profiles. While no information on the pricing has surfaced yet, the Acer Predator clearly has the looks to attract gamers. Remains to see if it will have the right price and the performance needed to become a hit once it hits the market.